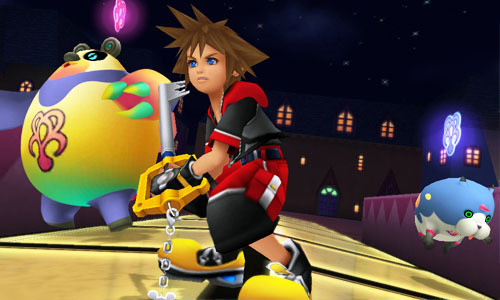 So the 3DS will definitely be getting an iteration of Square Enix's ever popular Kingdom Hearts, this time adding Dream Drop Distance to the title. We can expect to see this some time in 2012, but new worlds and gameplay will be discovered in the upcoming action RPG. The premise is that King Mickey and Yen Sid put Sora and Riku through the Mark of Mastery exam in the sleeping woods to be deemed the Keyblade Masters if successful.